Most of them are written between 1998 to 2004. 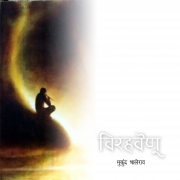 Mukund Bhalerao, is an artist by profession & poet by heart. He writes in marathi. You can find many of his poems, Romantic, comic or sarcastic circulating through e-mails & internet. Virahvenu is his small collection of poems he wrote during his teenage & mostly his college days.